If your small engine needs to be repaired or is scheduled for maintenance, Heatherly Bros. Auto Parts & Towing is here to help! Heatherly Bros. Auto Parts & Towing provides the best small engine repairs in SC. Our technicians are highly experienced in small engine maintenance and repair, and we're committed to bringing your equipment back to top operating condition. We also take pride in our affordable pricing, so you can be sure we'll provide an honest and reasonable quote. Lawn Mowers, Chainsaws, Weed Eaters Regardless of the brand, we can provide maintenance and repair. 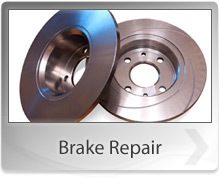 Whether your problem is a major motor issue or just a belt replacement, we're happy to fix it. We'll even help with small adjustments! Save money and save time by giving us a call today at 864-243-3523.